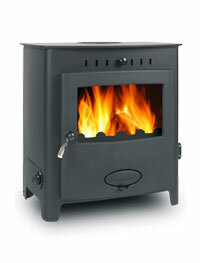 We have a wide range of stoves at our showrooms to suit many different requirements and tastes. If you are looking for stoves in Chelmsford, our showrooms can be easily accessed from this area. 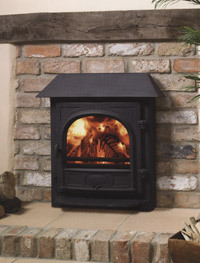 Below you will find examples of the different styles and types of wood stoves and multi-fuel stoves that we can supply. 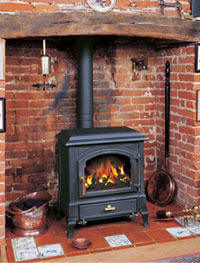 In addition to covering the Chelmsford area, we are also able to install woodburning stoves in Colchester. Other areas which we cover for the installation of wood burning stoves include Essex, Southend, Brentwood, Romford and Great Dunmow. If you would like to find out more about the areas we cover, or speak to us about additional considerations such as chimney lining and technical details, please get in touch with us. Contemporary wood burning stoves are generally more up right stoves with a large viewing area, most commonly situated on a hearth free standing as apposed to inside a fireplace. Generally a convection form of heat. 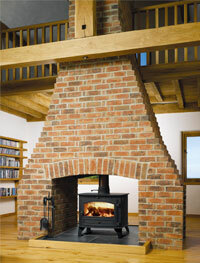 Jotul, Scan, Morso, Euroheat, Stovax, and Aarrow offer a wide range of Contemporary Stoves. Insert Stoves are a very good option for those with a standard fireplace opening, not wanting to alter the fireplace at all, but still have the benefits of a wood burning stove. They come in an array of sizes and shapes, and can even be situated into the chimney breast at the desired height. 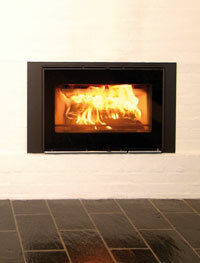 Stovax, Aarrow, Jetmaster, Stuv, Jotul and Scan offer a wide range of Insert Stoves. There are 2 types of boiler stoves, a wrap around boiler, or an integral boiler. Both systems are gravity fed systems. With the integral designed for consumers needing to fuel a larger heating system. Generally traditional stoves. Hunter, Stovax, and Aarrow, offer a wide range of boiler stoves. Solar energy that has been absorbed during the growth of a tree is released when pellets are burnt. The Carbon Dioxide that is released is equal to the Carbon Dioxide absorbed during the trees growth. In addition, transport related emissions are dramatically reduced due to the localised production of wood pellets. Designed for consumers with a chimney breast located in two rooms. 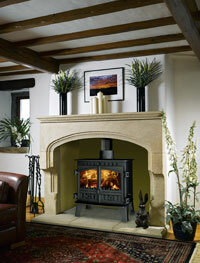 Generally traditional stoves, although some Inset/Contemporary stoves are available as double sided. Designed to utilise the location of your chimney. 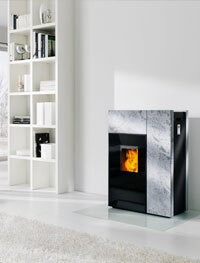 Hunter, Scan, and Stuv offer double sided Stoves.